We don't do Windows! We have focused on supporting Mac users since 1991! 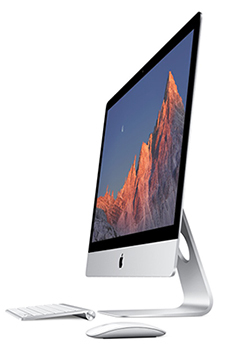 See us for professional Mac Support, Mac Service, and Mac Repairs. Mac solutions for your needs. Our 25 plus years focused on service, we have helped small to medium sized businesses start and grow. Small enough to give personalized service to individuals - large enough to serve Enterprise needs. Matrx Systems is right sized for every Mac user. We provide Apple branded products and related services as well as many solutions beyond the Apple logo. See our services page and support page for more info. As a leading Apple Solutions Provider in Delaware County, our offices in Newtown Square serve the following towns: Ardmore, Aston, Bala Cynwyd, Berwyn, Bryn Mawr, Brookhaven, Broomall, Chester Springs, Coatesville, Concordville, Conshohocken, Downingtown, Drexel Hill, Edgemont, Essington, Exton, Folcroft, Folsom, Gladwyne, Glen Mills, Glenolden, Haverford, Havertown, Holmes, Kennett Square, King of Prussia, Lafayette Hill, Lansdowne, Malvern, Media, Merion Station, Narberth, Norristown, Oaks, Overbrook, Paoli, Philadelphia, Phoenixville, Plymouth Meeting, Pottstown, Prospect Park, Radnor, Ridley Park, Springfield, Swarthmore, Upper Darby, Valley Forge, Villanova, Wayne, West Chester, West Goshen, Woodlyn, Wynnewood, and extends to Wilmington, Delaware and Southern New Jersey.